http://book7.booklikes.com Book 7 3.0 Help! We Need a Title! text Help! 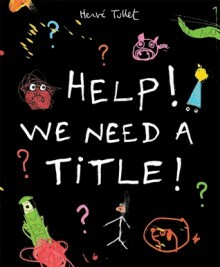 We Need a Title! This was fantastic! It's a great mentor text for teaching writing at all stages: parts of a story, characters, plot, setting, drafting and revising… It's perfect and it's a lot of fun from a well-known and well-liked author. I really hope I can get a copy of it for my school library!